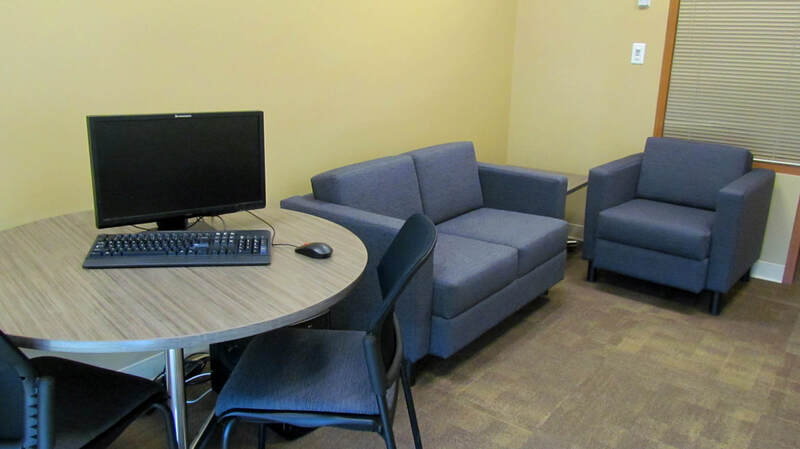 Are you looking for a quiet place to focus on accomplishing group work? Do you need access to resources and tools such as computers and printers? 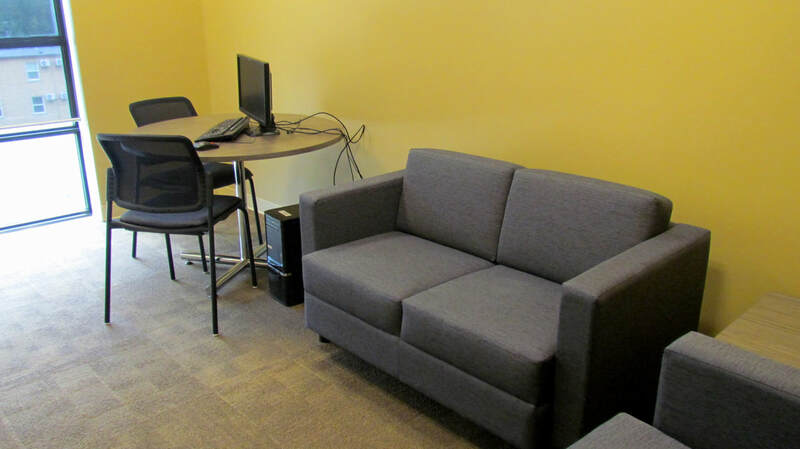 Are you tired of your current work space and need a change of location? If so, Stó:lō Community Futures is now offering access to our business innovation centre! 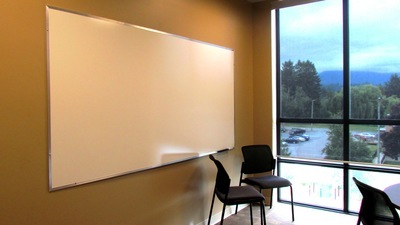 This Work Room provides a nice area for people seeking to do group work or hold a small meeting. It includes two small couches and four chairs, a table with a communal computer, and a whiteboard to jot down information about your group discussion! 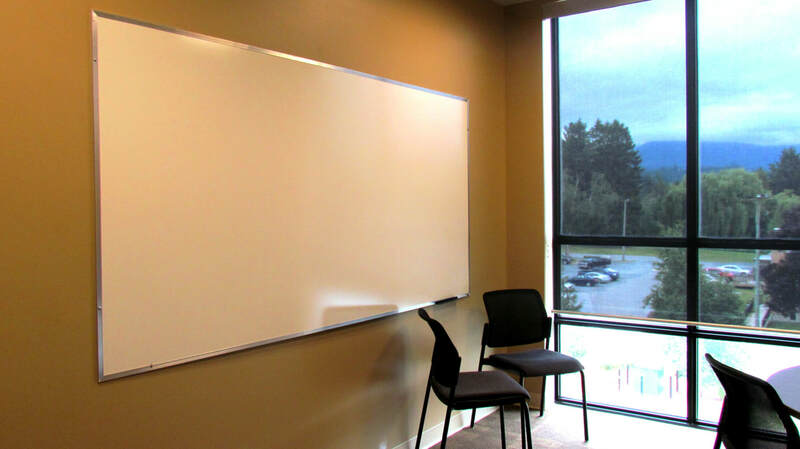 This Work Room can function for both solo and group work. 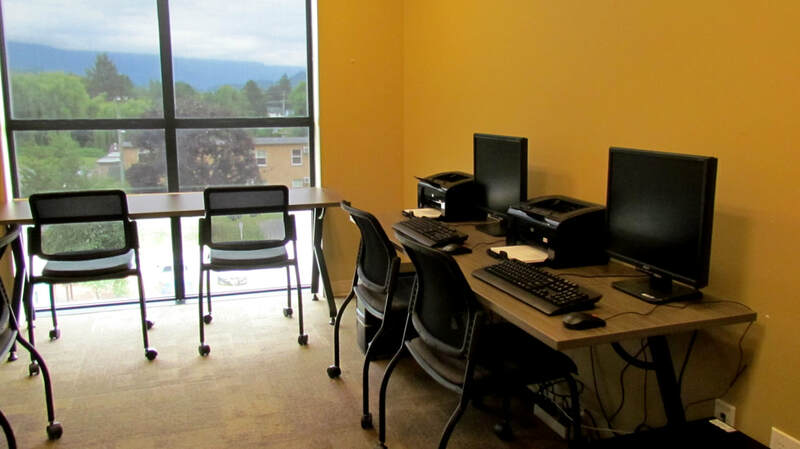 Inside, it provides 3 desktop computers, 3 desks, a printer, and a comfortable chair in the corner of the room. We have two work rooms available, fully set up with computers, printers, desks, couches, a white board, and anything else you may need to get that crunch time solo or group work done. 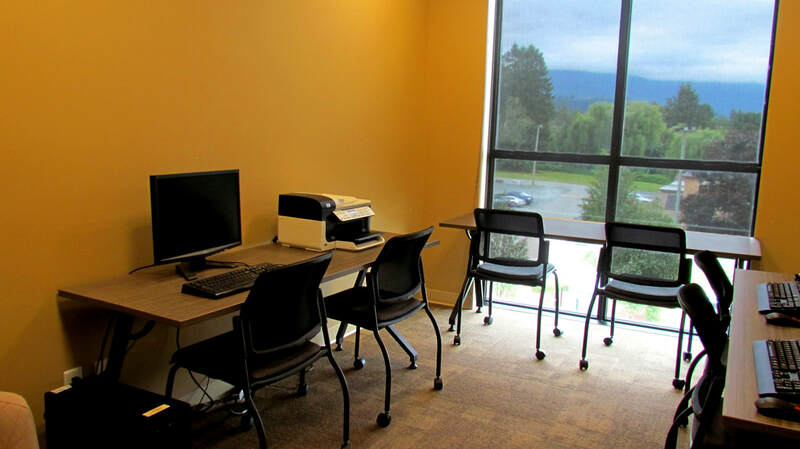 Located on Sto:lo Nation’s 7201 Vedder road location on the third floor of building 10, the rooms have large windows over looking the property that allow for an open and vibrant area to work in. 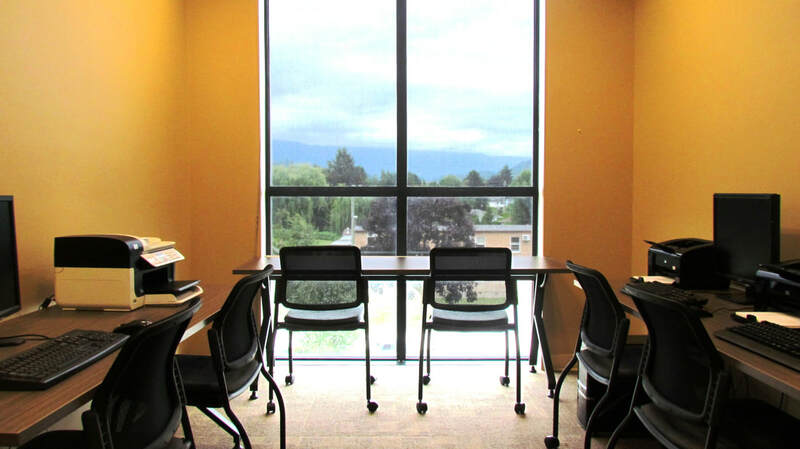 ​If you are interested in booking one of the business innovation centres or have any further inquiries, phone a Stó:lō Community Futures Staff member at 604-858-0009 or email here.